What are the health risks factors and precautions for an egg donor? Egg donation is the procedure where a third party supplies the egg that enables a woman with an intact uterus to conceive in situations where it is impossible or greatly difficult for the mother-to-be to supply her own eggs due to infertility issues and genetic defects. Egg donation is generally considered to be a very safe procedure. If you search the internet for donating eggs in Colorado, you will be able to equip yourself with knowledge regarding the egg donation risks and benefits. Long-term risks associated with egg donation is almost negligible but there may be certain short term health risks associated with the procedure. With proper precautions it is easy to overcome these problems. Medication side effects: Injections of hormones like follicle stimulating hormone or luteinizing hormone to induce ovulation could have side effects like bloating or cramping. The medications prescribed during this time like Lupron to the egg donor may cause side effects similar to that of the premenstruation period. 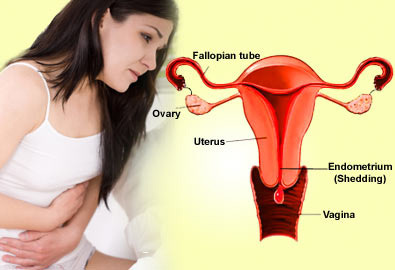 Vaginal dryness, hot flushes, mood changes, irritability, aches all over the body, headaches, bloating, tenderness in the breasts, insomnia and fatigue are some of the symptoms that may or may not be present depending on the donor’s physical and mental state. Precautions: Slight physical discomfort may be bearable during this period but it is best to seek medical attention if symptoms worsen or become unbearable. Also, it is important for the egg donor to remain stress free and physically fit during this time to abstain from use or need of any other medications other than the ones required for the egg donation procedure. Intake of other medications may complicate the health risks for the egg donor. Temporary weight gain: Due to the increase in the size of ovaries of the egg donor upon hormone stimulation, there are chances of gaining weight during this period. However, this phenomenon is only temporary and is resolved with the arrival of the next menstruation period. Precautions: A balanced diet and a healthy lifestyle may help control the gain in body weight. Ovarian Hyperstimulation Syndrome (OHSS): On rare occasions, some egg donors may have extra sensitivity to the ovulation stimulation medications. This may result in excessive swelling of the ovaries and accumulation of fluids in abdominal and chest cavities. This is referred to as OHSS and can be mild, moderate or severe depending on the physical condition of the donor. In mild OHSS, there may be slight abdominal discomfort which disappears with the next menses, in the moderate form the complications are slightly higher while the severe form of OHSS can be quite dangerous. Blood clots, kidney dysfunction, fluid accumulation in the lungs and shock syndrome may result. Precautions: Close monitoring of the egg donor is necessary to detect any signs and symptoms of complications. Any suspected symptoms of OHSS must be reported to the medical unit overseeing the procedure. Bed rest and medications to treat pain may help overcome the mild to moderate symptoms. Emergency medical care is necessary for severe OHSS cases. Bleeding and infection: Since the retrieval of eggs from the donor is a minimally invasive procedure, there are negligible risks associated with this process. However, rare chances of bleeding do remain if the doctor punctures a nearby blood vessel while extracting the eggs using a needle. Hence, spotting is not uncommon after a retrieval procedure. There is also a low chance of contracting infections during retrieval. 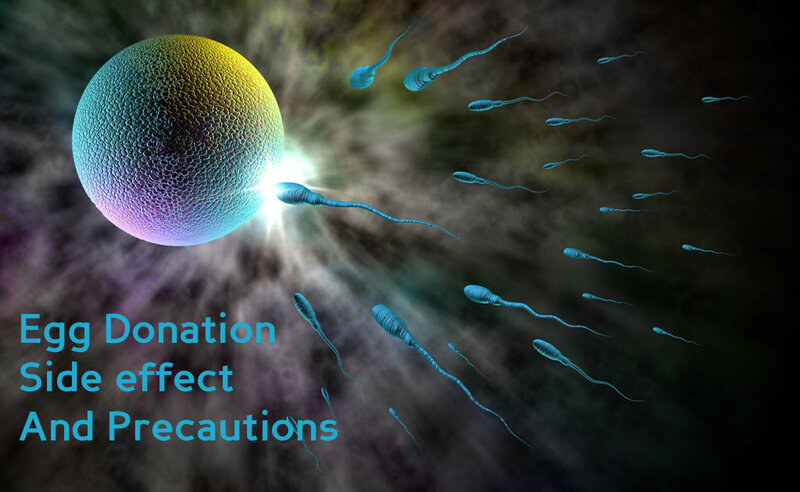 Precautions: Carefulness on the part of the doctor performing the retrieval prevents bleeding and administration of intravenous antibiotics help check infection during egg donation. Any suspected symptoms of infection or signs of heavy bleeding must be reported immediately. Browse the internet to know more about donating eggs.